Drones are everywhere and here to stay. This trend presents an upside and a downside. The upside? 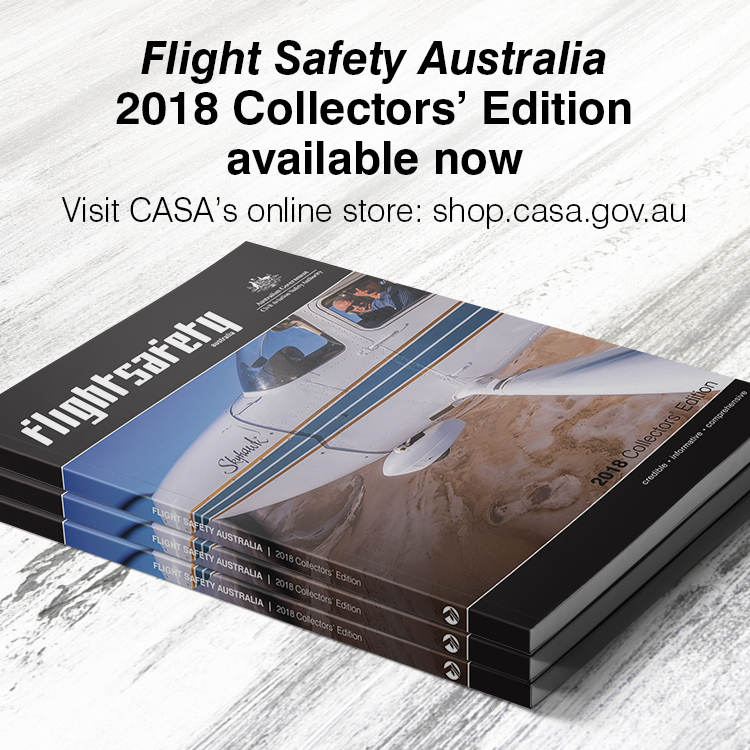 With over 1000 CASA Remotely Piloted Aerial Vehicle (RPAV) or Remote Piloted Aerial System (RPAS) operators now offering services all around Australia, it means there are more professionally trained remote drone pilots than ever before, flying responsibly under the aviation regulations and following CASR Part 101 (F). The downside? With all that extra activity the skies are becoming a busy shared airspace, with the increased chance for an incident or near miss. As a remote pilot, this is always at the front of my mind. My background: I’m a fixed wing multi-engine instrument rated pilot who moved into unmanned aviation five years ago. I became a remote operator certificate (ReOC) holder and chief remote pilot when there were fewer than 90 companies in Australia. Two years ago, I began publishing Drone Magazine as a way of helping instil aviation standards into a community of people that needed to understand how their remotely piloted aircraft becomes a small cog in a very big wheel, whenever it’s being flown. We have had great successes I must say. Safe procedures and practices are commonplace now, with highly professional standards appearing throughout the commercial drone industry, and indeed these practices have filtered down to the recreational pilots as well. Technology is helping, with the latest DJI smart drones identifying airspace and automatically restricting take off near towered airports, and smart phone apps such as ‘Can I fly there?’ (free on iOS or Android) showing drone pilots where they can and can’t fly. There are some locations that throw up red flags as danger zones. These are places where the potential for a collision with light aircraft, helicopters and even some RPT aircraft is increased. The main problem occurs because drone operators measure their operating height with reference to ground level (AGL) where the rest of aviation measures altitude above mean sea level (AMSL). Drones are allowed to operate from 0–400 AGL, resulting in an overlap occurring at any location with headlands, hills or any other terrain near or next to water. These conditions are more common than you think. It’s usual for a coastal area to have terrain that is up to 200 feet higher than the ocean or harbour it adjoins, and as it makes for great scenic flying there are generally loads of general aviation aircraft flying up, down, over and all around the place. As a rule, manned aircraft crews tend to relax just a little once we’re above water. There is nothing below us, it’s non-populous and we can drop down to 500 feet, no problem. Now consider the drone that has just taken off from raised terrain at what its pilot assumes is zero feet, which is your 200 feet AMSL. The drone’s maximum altitude would be legal at 600 feet AMSL. It doesn’t take much to see the overlap and potential for an incident. There are a few locations to be aware of. If you’re a heli pilot or performing GA joy flights, you occupy the main sector of aircraft at risk and need to monitor NOTAMS for drones operating in your area. 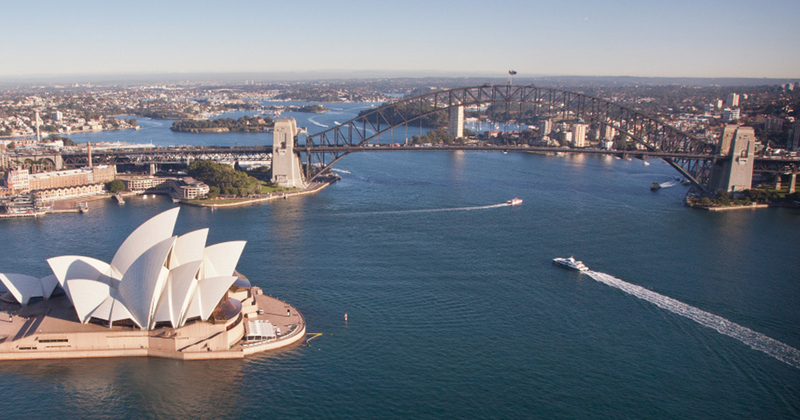 Here’s one for Sydney Harbour. Note that, in the logic of NOTAMS, it’s listed under Melbourne flight information region. (FARM COVE, NEW S WALES) APRX BRG 010 MAG 5.5NM FM SYDNEY AD (YSSY). Sydney Harbour is a very busy airspace. Seaplanes, helicopters, Police Air and other emergency services all share it with drones. The harbour foreshore has varied topography, properties with sharp elevations and hills overlooking the blue waters. And in Sydney’s frenzied real estate market drone operators are working daily, everywhere around and over it, shooting waterfront properties for sale. Hunters Hill is a specific place of note. GA traffic, mainly helicopters, travels down the Parramatta River/Sydney Harbour on the Romeo 405A route at 500 AMSL over water and tend to cut the corner as they turn across Hunters Hill. There is a natural bend in the harbour there. Aircraft travelling at 500 feet AMSL cut across Pulpit Point where the terrain rises sharply and a drone pilot shooting property, nestled down amongst the tall trees, has no chance of seeing or hearing an aircraft until it is right on them. Be wary cutting corners over any populated elevated land masses. Check NOTAMS as licensed drone operators are required to post for Romeo 405A before flight operations. The Harbour Bridge southern pylon is another spot for concern. It’s a reporting point at 500 feet for GA aircraft, but invariably some of us pilots love to ‘buzz the tower’, flying in low and hot for the ground rush as the bridge zips past just below. The tower height at 291 feet is well within drone airspace and I’ve seen many a helicopter and seaplane at that location flying super close to a drone without knowing they’ve just had a near miss as the drone scrambles to get out of the way. Romeo 405B, east of the Harbour Bridge requires you to maintain 1000 feet AMSL, so the drone that hits you here would definitely be at fault, if that’s any comfort. Victor 1 Coastal is another place for concern. This is the scenic VFR coastal route from Long Reef to Jibbon Point. The cliffs rise magnificently from the ocean just north of Bondi and continue up to South Head tower up to a height of 300 feet AMSL. There are often drones flying from these cliffs, over them and out and past the coastline, getting some dramatic images, but presenting an overlap to GA of around 200 feet. Victor 1 is 1 nm out to sea, but with the thrill of hugging the coastline, the lure to fly closer in is strong, particularly if you think you have the airspace to yourself. But, you don’t. Not only are there drones in this airspace, emergency services flights on routine patrol are required to be close to the shoreline. A good way to identify that a drone is in the area is to look for the operator rather than the drone. In this particular location, it’s easy to spot one or two guys with RC controls hanging around their necks as they are easily seen against the clear, grassy cliff tops. There is no terrain/sea level mismatch here, but Docklands is a busy tourist destination with a lot of daily city joy flights taking place from there. General aviation aircraft are low and drones are frequent. Even though the terrain isn’t that high, there are six helicopter landing sites (HLS) close by. The helicopters that are frequently coming and going can be well under 500 AMSL on approach and departure. Drone operators are aware of the sites and the traffic, but they can fly there without lodging a NOTAM, so as a manned aircraft pilot, there is no way of knowing ahead of time who will be in the area. This tourist mecca has many helicopter landing sites with daily reef and rainforest flights. Traffic levels are high and continuous especially in the summer months providing extended daylight conditions. The controlled area (CTA) for Cairns airport covers most of the coastal region, but the unsettling scenario of one of the many thousands of international tourists unpacking their drone from their luggage and taking off for snapshots without any sort of airspace check cannot be ignored. We’ve heard of many instances where DJI Phantoms are being flown in and near restricted airspace, close to helicopter landing sites with the drone fliers totally unaware of what they are doing, creating a real problem for GA flights, especially helicopters. Southbank in Brisbane and Kangaroo Point have three HLS close by with high cliffs overlooking the Brisbane River, creating the operating height overlap situation. The cliffs are around 200 feet tall, meaning a drone can take off from them and instantly be over water, flying well within the conflict height of any local GA aircraft. Southbank is a tourist hotspot so there may be overseas visitors flying there without realising the danger, so it’s a good idea to be extra sharp in this area. This is my home town, and again the tourist-flown drone puts us at risk. The north/south coastal route past Surfers Paradise at 500/1000 feet over water allows a drone to be flown from the beach, out and up to a height that can be a hazard to aircraft. If you keep your distance from the coastline you’ll be fine. Increasing your buffer zone here is a good idea. Finally, some heartfelt advice for drone pilots: safety is in your hands. Most of the time, a manned aircraft’s crew will have no idea they have just come within a 100 metres or less of a drone strike, because from the cockpit there is no chance in hell of spotting a drone in flight, even under perfect VMC. They’re simply too small and too fast—they get lost in the clutter of ground objects. Interesting article, I wonder what really goes on out there? Rules & regs are like locked doors they are only there for the honest thieves! This latest craze simply cannot be controlled like the authorities would like it to be & is now actually out of control getting worse by the day. 400’agl is fine but unless you live in a world where you subscribe to the flat Earth society then most drones will be above this height at some stage of the flight. Also 500′ is a ‘legal’ height for A/C nothing more, both sectors abuse their respective requirements. FPV is now huge with drones, something that the writer of this article never mentioned! With the advent of LR transmissions plenty of drones fly well beyond LOS AND well above 400 AGL. Answer? Apart from trying to educate the few who can read and can be bothered there’s little that can be done. It’s only a matter of time before we are reading about deaths emanating from a mid air. Is it really necessary for leisure or photography drones to fly as high as 400ft? Surely 100ft is high enough to get a real estate photo or a tourist shot? I would suggest another hotspot is a bushfire or other emergency situation. Whilst UAV /S/Drones are requested not to fly within 5 NM of a bushfire, it is only a request. Unless the relevant Fire Authority requests closure of the airspace above the fire except to incident associated traffic, it is only a request. The fire aviation traffic may be operating at a number of levels fro bombing aircraft at just above tree top level to observation and aping aircraft at 1000 to 1500 feet AGL. throw in the odd media rotary and this air space can get rather busy. yes recreational pilots are getting better educated and following the rules, however unauthorised drones over bush fires still pose a concern and safety risk to fire aviation operations. last year in QLD a recreational pilot was observed operating a DJ with in 200 metres of the landing zone of helicopters operating in support of a large fire, when asked he landed the aircraft but hadn’t at first seen it as being an issue. standard practice for most of our bushfire agencies is in the event of an unauthorised drone operating near/over a bushfire any fire aviation aircraft are immediately grounded. luckily there has been no damage to property or loss of life where this has occurred. However two year ago in the US, 30 cars and up to 50 houses were lost when the fire jumped a highway after manned aircraft were grounded due to unauthorised drone operations. Very informative and helpful article. Thank you. Thank you Craig. Useful and informative read.